♫ ♪ I'm gonna pop some tags, only got twenty dollars in my pocket... I, I, I'm hunting, looking for a come-up. This is f*cking awesome! Mark your calendars 'cause you certainly can't afford to miss this! 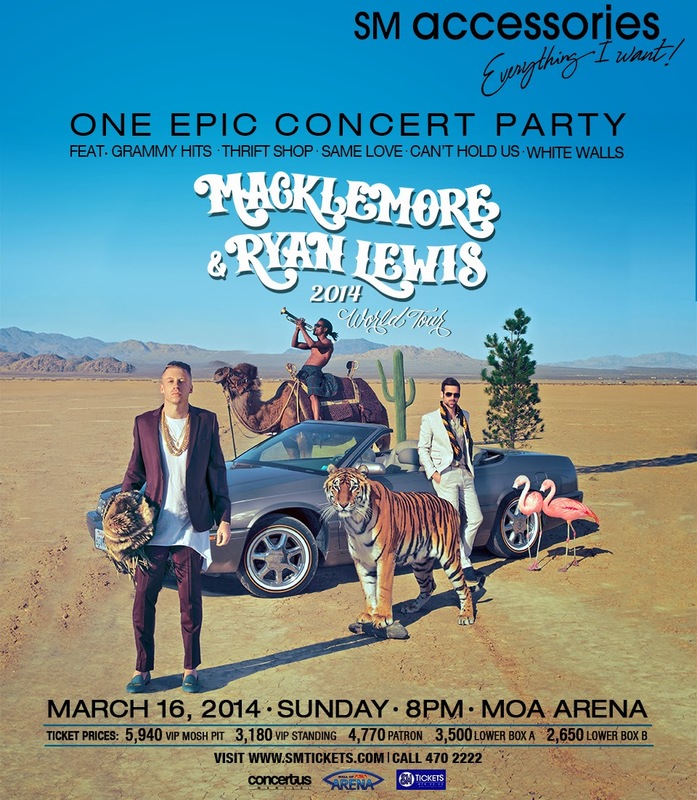 Thanks to SM Accessories, we can catch Macklemore and Ryan Lewis on one epic concert party at the Mall of Asia Arena on March 16, 2014! Can't hide my excitement for this event! Make sure to do everything in the mechanics in order to qualify for this giveaway! SM Accessories and I will draw the winners on March 13, 2014. SOOO EXCITED!!! See you on this epic concert!